With a stay at Ramada Limited Redding in Redding, you'll be within a 10-minute drive of Redding Civic Auditorium and Bethel Church. This hotel is 1.2 mi (1.9 km) from Waterworks Park and 3.2 mi (5.2 km) from Lake Redding. Located in Redding, Best Western Plus Twin View Inn & Suites is in a rural location, within a 5-minute drive of Waterworks Park and Bethel Church. This hotel is 3.7 mi (5.9 km) from Redding Civic Auditorium and 3.2 mi (5.1 km) from Lake Redding. Grab a bite to eat at the Garden Grille, a restaurant where you can take in the garden view, or stay in and take advantage of room service (during limited hours). Wrap up your day with a drink at the bar/lounge. Full breakfasts are available daily from 6 AM to 10 AM for a fee. Enjoy your stay at Redding's newest hotel. Our centrally located hotel offers great value at a competitive rate. 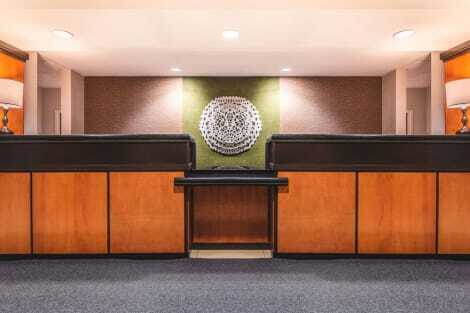 All rooms include a host of complimentary services and facilities such as buffet breakfast, fitness center, business center and an indoor swimming pool. Each one of our guest rooms and suites are equipped for every type of traveler from the road warrior to the family on vacation. 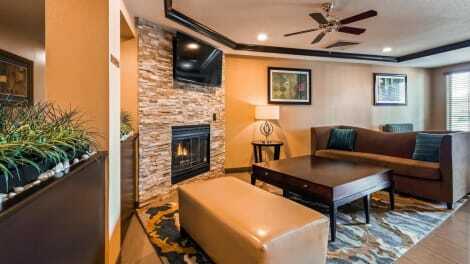 Holiday Inn Express Redding is conveniently located to all Redding area attractions including Shasta Lake and Dam, Mt. Lassen Volcanic National Park, Turtle Bay Exploration Park, and Whiskeytown Lake. We also have a location with easy access to a variety of shopping and dining options. We look forward to welcoming you at our all new hotel. Grab a bite from the snack bar/deli serving guests of Fairfield Inn & Suites by Marriott Redding. A complimentary continental breakfast is included. lastminute.com has a fantastic range of hotels in Redding, with everything from cheap hotels to luxurious five star accommodation available. We like to live up to our last minute name so remember you can book any one of our excellent Redding hotels up until midnight and stay the same night.